The joint commission in charge of carrying out the work internship project that will be offered to students in offices of the Marist International Solidarity Foundation met for the first time on May 18, as a follow up to its agreement in March. 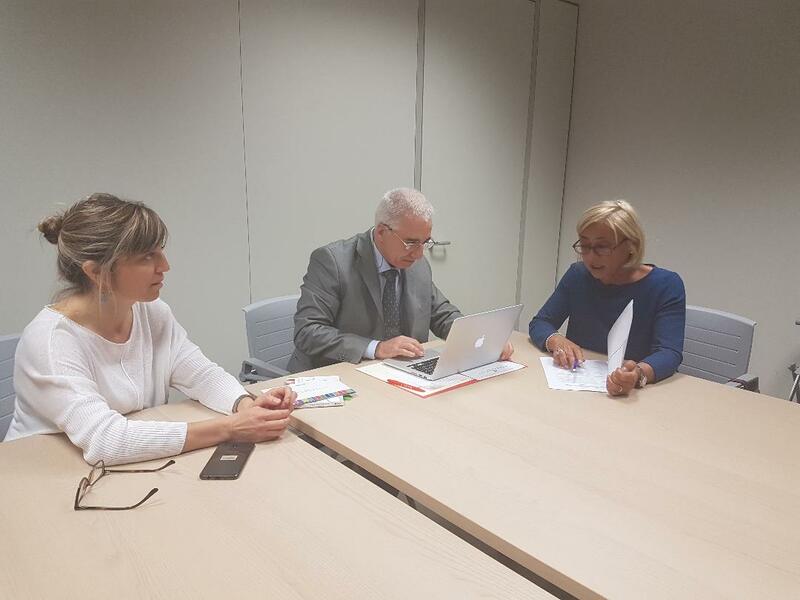 Three of its six members – Federica De Benedittis and Francesco Mastrorosa of FMSI, and Maria Teresa Bertoglio of the Regional Education Office of Lazio – met at the Regional Education Office in Rome, Italy, to clarify the project’s details. The commission’s three other members who could not attend are Brother Alvaro Sepúlveda, from FMSI, and Michela Corsi and Cinzia Grieco of the Regional Education Office. The final proposal will be presented to several schools in the Lazio region mid-June, who will in turn be able to apply for the work internships by Sept. 15. It is expected that the joint commission will meet again on Sept. 20 before meeting again every six months to monitor the project. The Education Office will also monitor the project closely with questionaires sent to both FMSI and to the selected schools. Under an Italian law passed in 2015, all high school students must complete 200 hours of work experience, known as “alternanza scuola-lavoro.” Students of the country’s Higher Technical Institutes are required to complete 400 hours. So far, FMSI has been in contact with the state-run school Liceo Majorana and the Rome’s Marist school Istituto San Leone Magno in Rome. It is hoped that students of around six to eight schools will be selected to take part in the work internships.